The Raspberry Pi is a mini computer, which costs only about 35 euros. 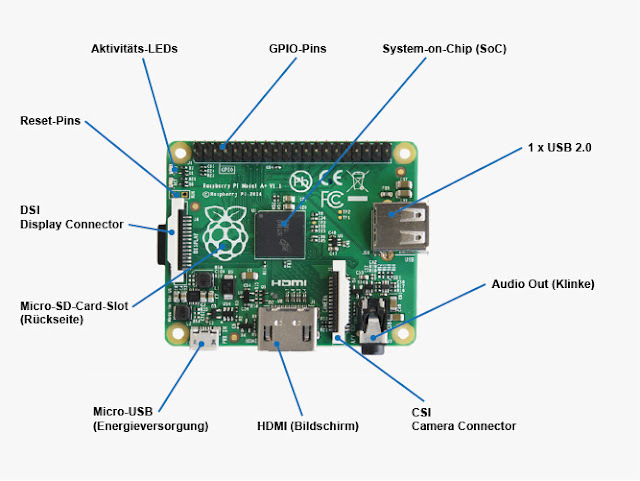 The main component of the Raspberry Pi is Broadcom's System on Chip (SoC). It includes a 700MHz single-core processor, depending on the Model 256 or 512MB (Model B) memory, as well as an OpenGL-ES compatible graphics core that includes a decoder and encoder for MPEG2, MPEG4 and other codecs contains. 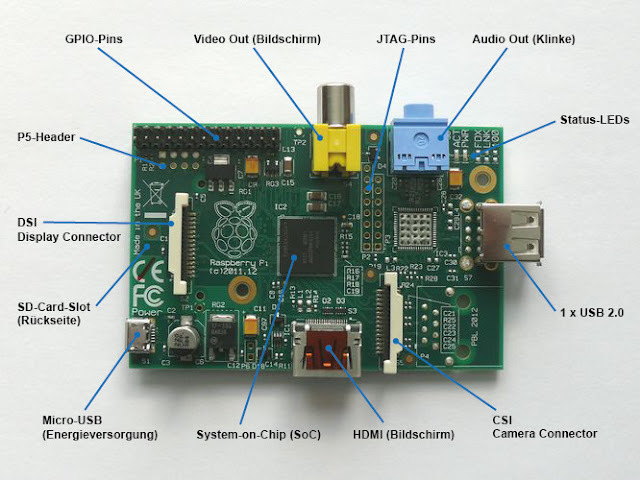 This makes the Raspberry Pi the perfect and extremely popular DIY media center. 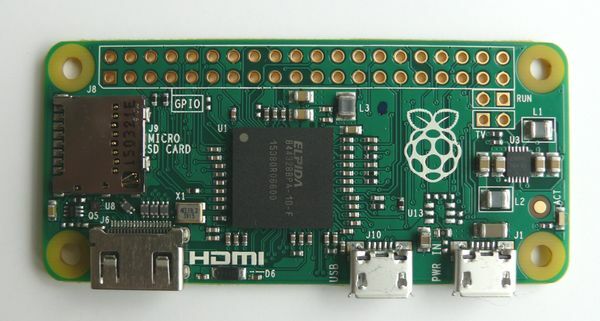 Raspberry Pi a single-board computer is based on ARM processors that are manufactured and sold at a minimal price. 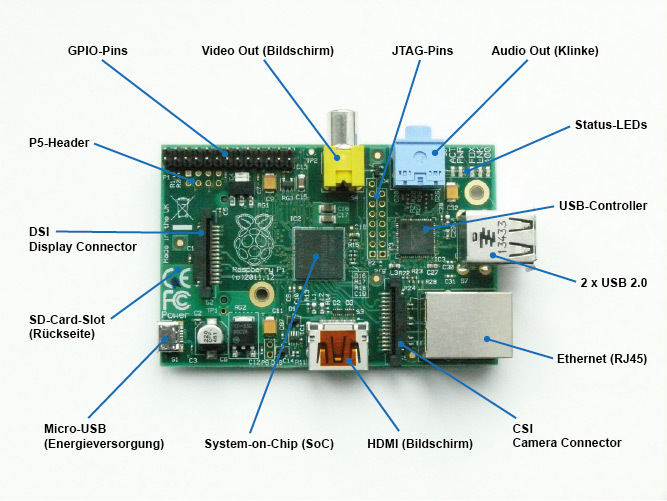 Raspberry Pi was developed at the University of Cambridge and is intended for educational purposes. Production started on January 10, 2012. Raspberry Pi is a mini computer, which costs only about 35 euros. 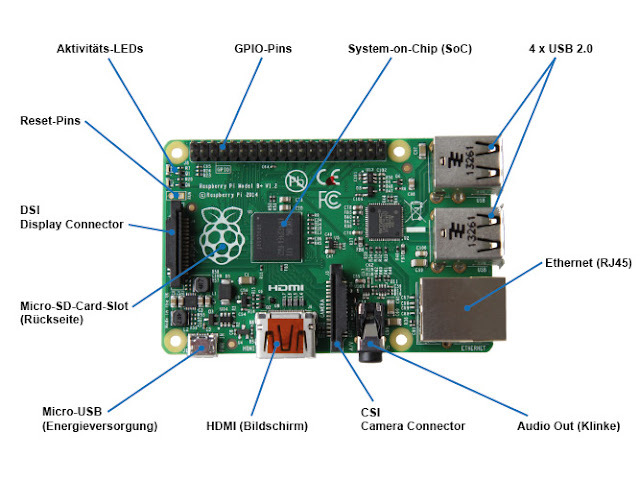 The main component of Raspberry Pi is Broadcom's System on Chip (SoC). It includes a 700MHz single-core processor, depending on the Model 256 or 512MB (Model B) memory, as well as an OpenGL-ES compatible graphics core that includes a decoder and encoder for MPEG2, MPEG4, and other codecs contains. This makes Raspberry Pi the perfect and extremely popular DIY media center. The computing power of the SoC (Broadcom BCM2835) is not particularly large, which is why there are only limited applications for Raspberry Pi. This does not limit his abilities as an experimental and learning computer in any way. Still, those who experiment with Raspberry Pi quickly hit its performance limits. Unfortunately, more powerful alternatives consume more power and cost significantly more. All restrictions can be avoided by skillful configuration. But it will not become a racehorse. Raspberry Pi is a craft calculator. For learning and hardware-related building. it is made for that. The built-in (quite potent) video processor makes it predestined for multimedia applications. Models A and B differ in that model B has 512 MB of memory, an Ethernet port, and two USB ports. The Model A is more suitable, with only one USB port and 256 MB of RAM as a control computer, where it depends on low power consumption. Model B is most suitable for working on a graphical user interface. Micro USB socket for power supply with +5 V / 1.2 A.
Raspberry Pi Foundation has released enhanced models with Raspberry Pi "A +" and "B +". Compared to models A and B, the basic design and system-on-chip (SoC) have remained the same. So there are no new Raspberry Pis, but rather slightly improved models, which have some shortcomings that have been negatively noticeable in practice, have been eliminated. The improvements have contributed significantly to the stability of the hardware. Priced, the new model remained in the usual frame. Because the differences between A and A + or B and B + are minimal, the criticism when introducing them was quite large. More and better USB ports: The USB has 4 ports with improved hot-plugging and power management (model B +). This should prevent instabilities when connecting power-hungry devices. Up to 1.2 amps can pull the devices together if it is software-enabled and a correspondingly strong power supply is available. Less energy consumption: The use of switching regulators reduced the power consumption at 5 V from 750 mW to 600 mA. That's 0.5 to 1 W.
More GPIO pins: While retaining the previous assignment, a total of 40 pins are available. MicroSD: The SD card slot has been replaced by a smaller MicroSD slot. One can unfortunately no longer use SD cards. The frequent contact problems are eliminated by switching to microSD cards. MicroSD cards lock when inserted into the slot and can be removed by pressing again. There is not much difference in price between SD cards and MicroSD cards. Video and Audio: The analog video signal no longer comes from a composite video output, but together with the audio signal from a 4-pin 3.5-mm jack. The quality of the audio signal has been improved. Attachment: Two more holes now allow for more convenient attachment. Dimensions and housing: The dimensions of the board are unchanged. Nevertheless, old housings can no longer be used because the connections have different positions. LEDs: Two of the three LAN LEDs are located on the RJ45 jack and not on the board. Power and Activity LEDs (PWR and ACT) are located at the far left of the GPIO header. The power LED is also used for the optical message in case of problems with the power supply. If the operating voltage drops below 4.63 volts, then this LED starts to flicker and then goes off completely. Contacts for a button: Below the ACT LED is an empty RUN header. It has the same function as the P6 of the GPIO interface of the B model. This allows you to connect a button that restarts Raspberry Pi during operation and after shutdown. On the software side, the models A, A +, B and B + are fully compatible. So you can safely switch from one to the other model. Just keep in mind that the boot media is different. Nevertheless, problems can occur if you want to use an image running on an A or B model on an A + or B +. Then you have to put the image on a SD card in a model A or B and perform a kernel update on the command line. Afterwards, the image should recognize the new hardware of A + and B + and everything should work. If you do not have a Raspberry Pi Model B, then you have to rewrite the system with a current image. Raspberry Pi Zero or Zero W is a $ 5 mini-sized computer. It's basically an improved Raspberry Pi A + with more CPU power, more RAM and less power. Usually, it is not single, but only in the set with a MiniHDMI to HDMI adapter, microUSB to USB A adapter and a pin to be soldered itself available. The Zero W differs from the normal Zero in that it has an integrated and combined WLAN and Bluetooth adapter. Raspberry Pi Zero is already clocked at 1,000 MHz by default. Much more is not possible because the old SoC is still installed, which was already installed on Raspberry Pi 1. Who needs more performance should prefer to grab a Raspberry Pi 2 or 3. 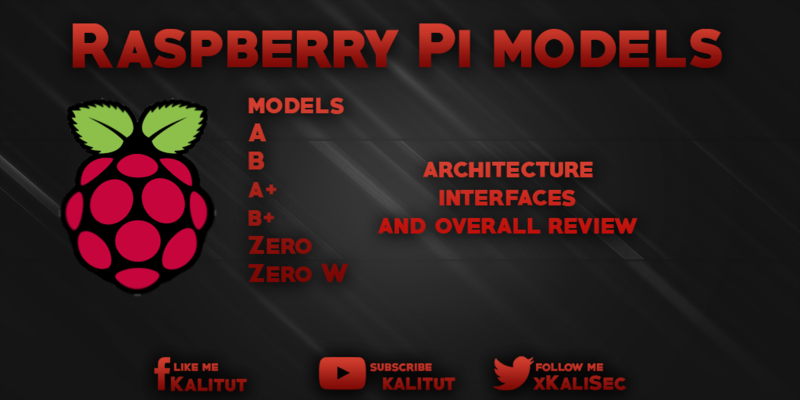 In practice, Raspberry Pi Zero only makes sense if you have little space and with the limited connection options, such as Raspberry Pi A or A +. Otherwise, a complex and confusing tangle of Raspberry Pi Zero, USB power supply, HDMI and USB adapter cables, USB hub with power supply, wireless adapter stick, as well as keyboard, mouse, and screen. The energy requirement is given as 0.5 to 0.7 watts and 0.1 to 0.14 amps at 5.09 volts. In idle, the power consumption is just 0.116 amps. It is based on a single-core SoC BCM2835 from Broadcom, which is clocked at 1 GHz and has a main memory of 512 MB. The system drive is a slot for a MicroSD card ready. The interfaces include a mini HDMI connector for screen output, an OTG-enabled micro USB port and a micro USB port for the power supply. Otherwise, there are solder points for a 40 pin GPIO connector and composite video output. Raspberry Pi Zero Version 1.3 also has the interface CSI for a camera port, as the larger models have it. Just like the Zero, the Zero W uses Broadcom's single-core SoC BCM2835 with 512 MB of RAM, which is also clocked at 1 GHz. New is the wireless chip BCM43438 for WLAN with 802.11 b / g / n and Bluetooth 4.1 Low-Energy (BLE). This is the same chip as Raspberry Pi 3 B. If you have a stable and clean voltage (low ripple) of 5 volts available from a stabilized or regulated power supply, then you can supply Raspberry Pi Zero also via the GPIO-5V pin with power. But then you should already know what to do because in Zero no Polyfuse (fuse) is installed. This means that the applied voltage supplies not only the SoC, but also the USB devices. Under certain circumstances, not only the SoC is broken, but also the USB devices if you build crap here.